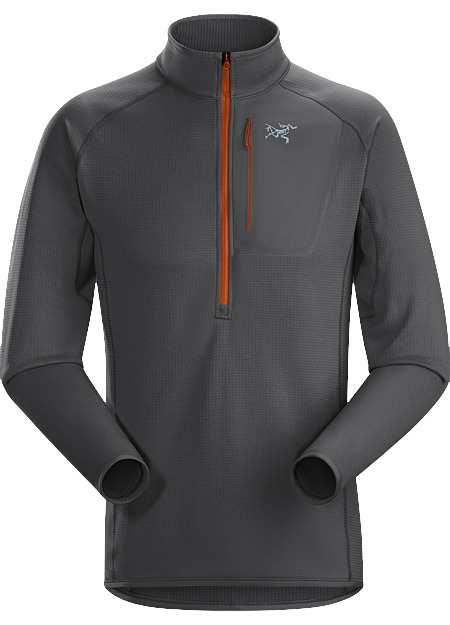 "A versatile piece for alpinists and climbers, the Konseal Zip Neck performs as a midlayer or standalone. Made from air permeable Polartec Power Dry fleece with a voided grid construction, it delivers a high warmth to weight ratio and has a smooth outer surface that helps wick and dry moisture and layers easily under a shell. The articulated trim fit moves with the body, the high collar provides warmth, and a deep front quickly ventilates excess heat.